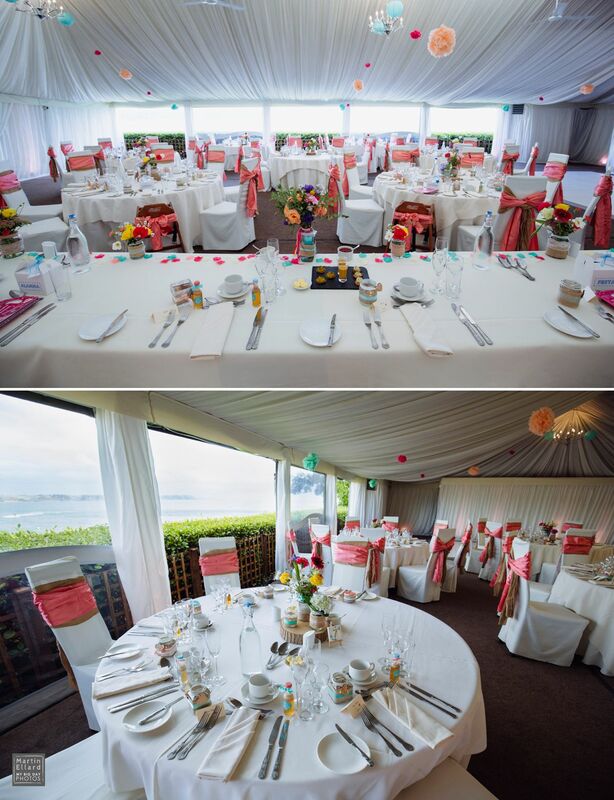 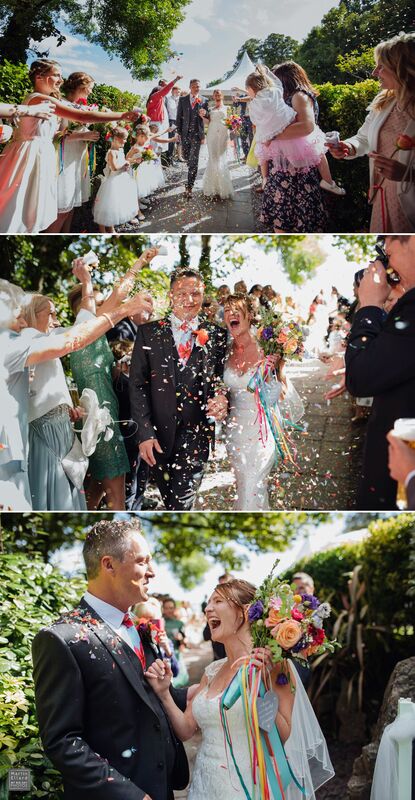 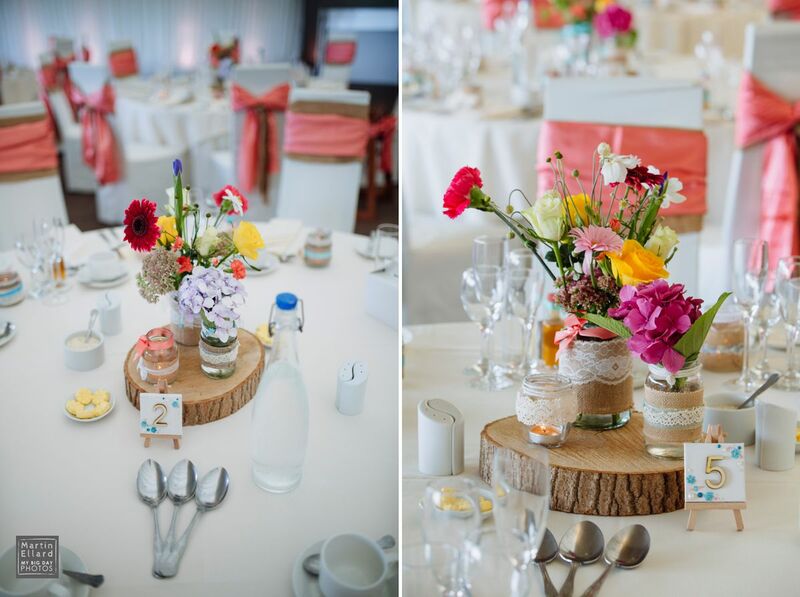 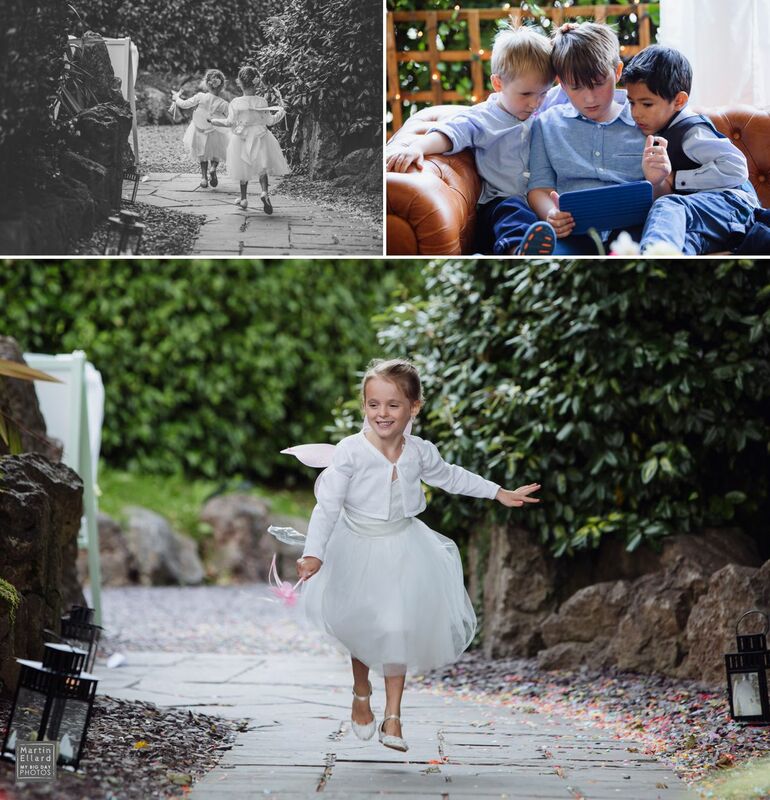 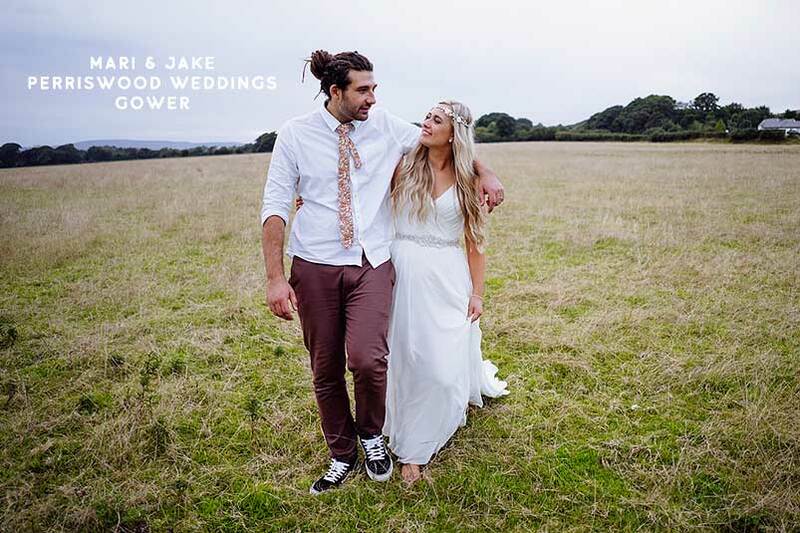 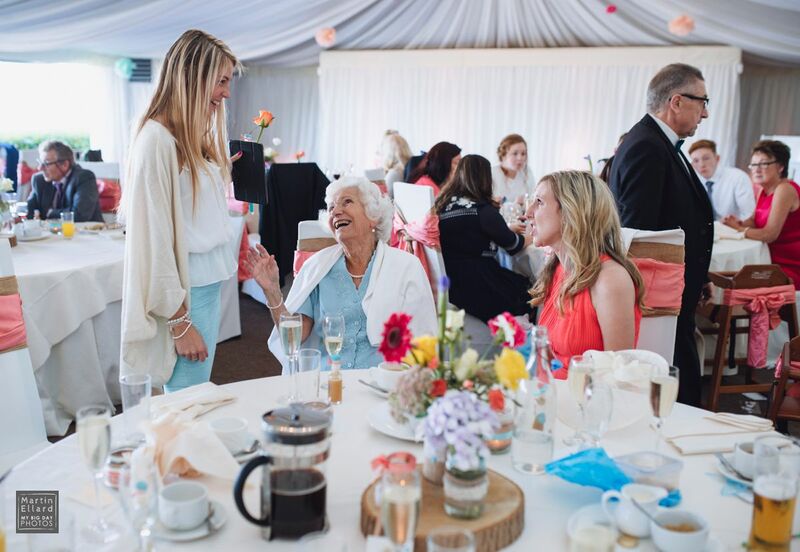 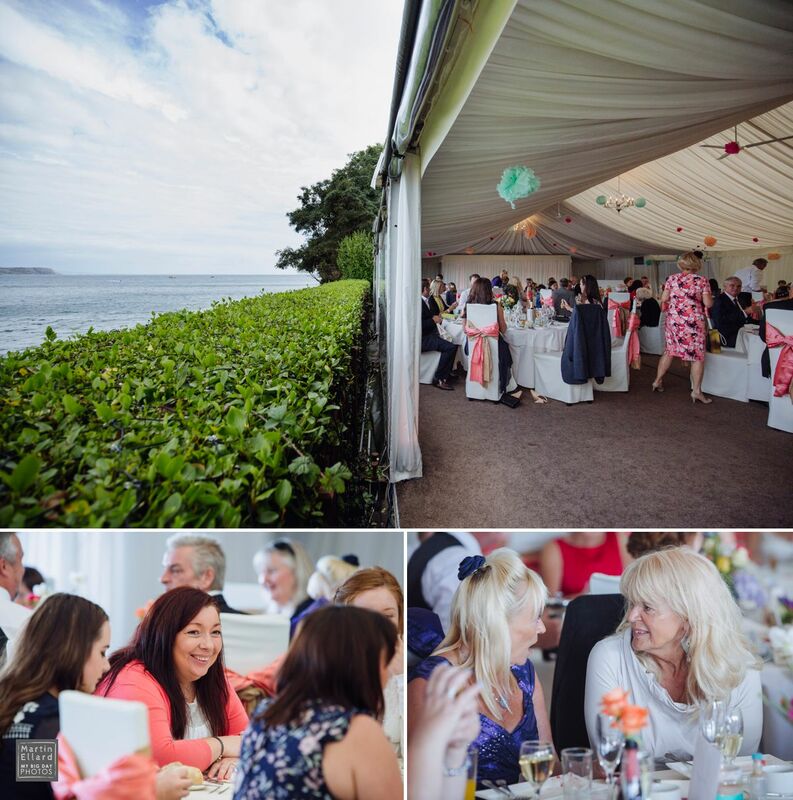 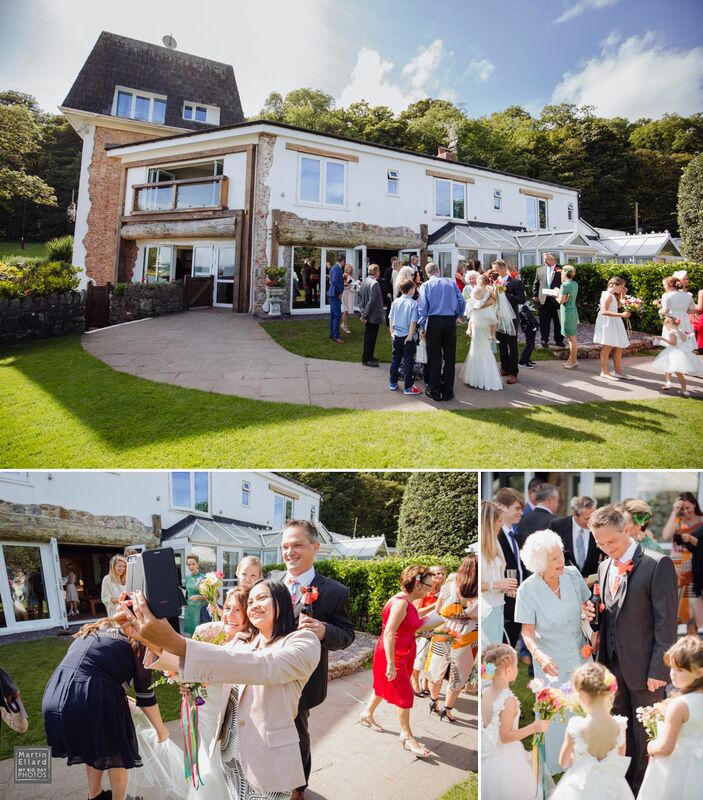 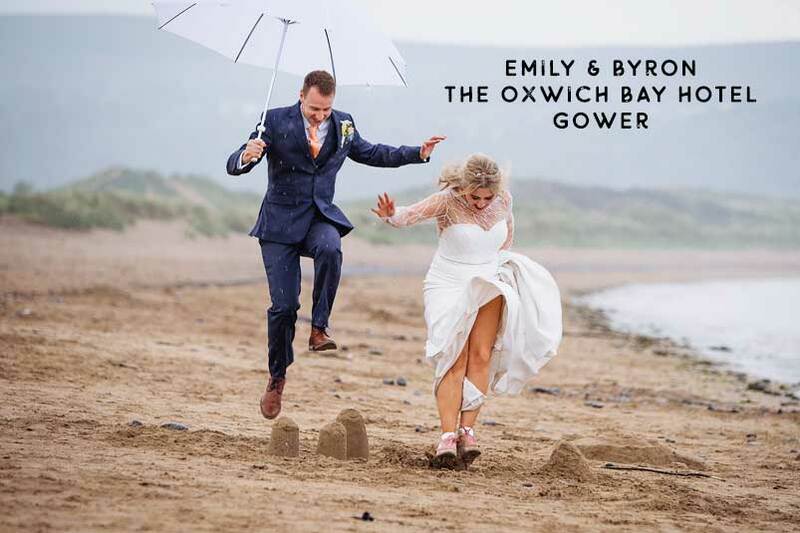 Summer wedding, The Oxwich Bay Hotel, Gower, Swansea. 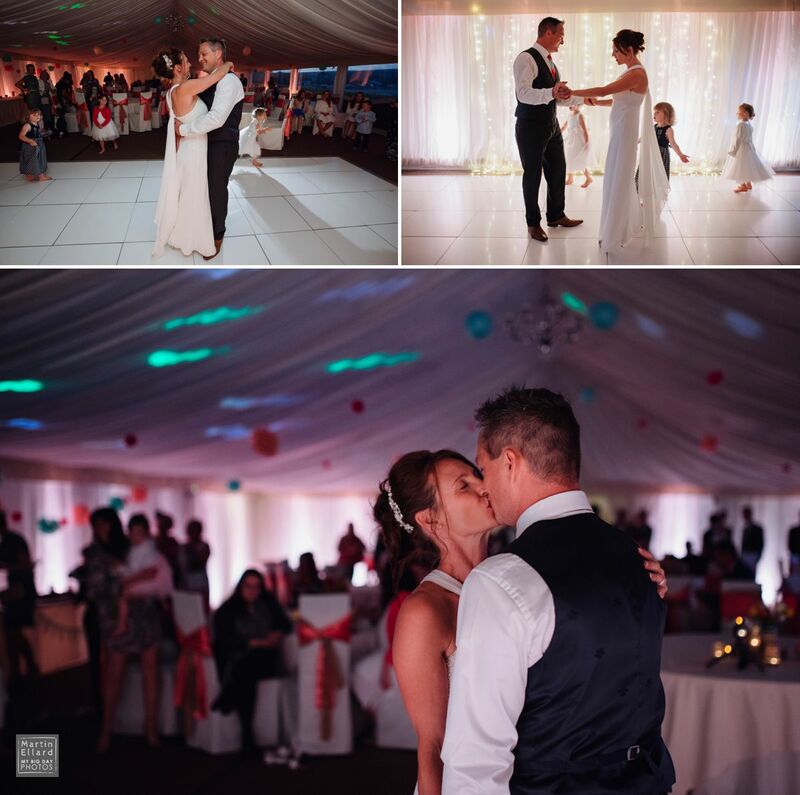 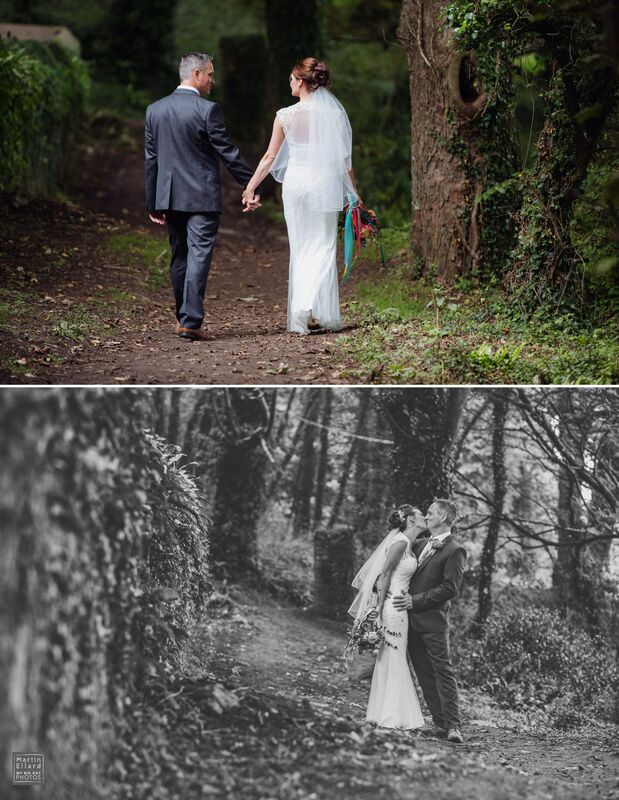 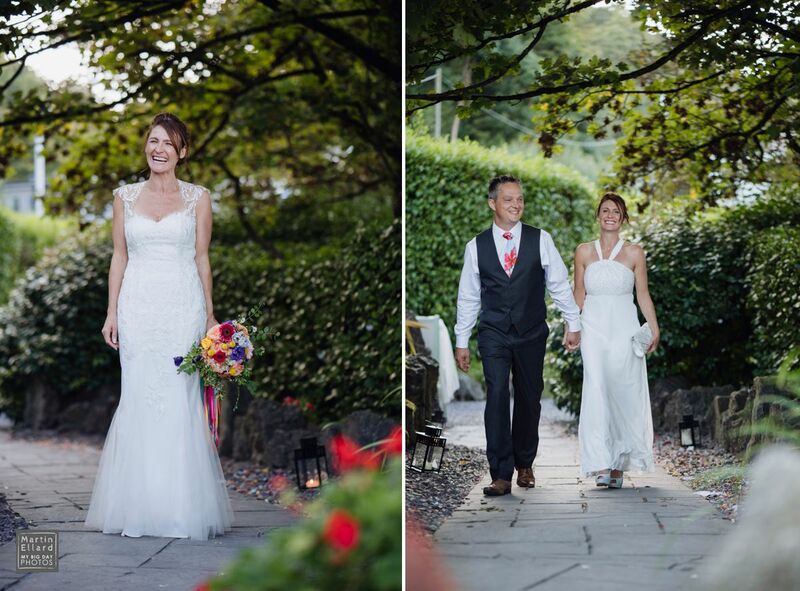 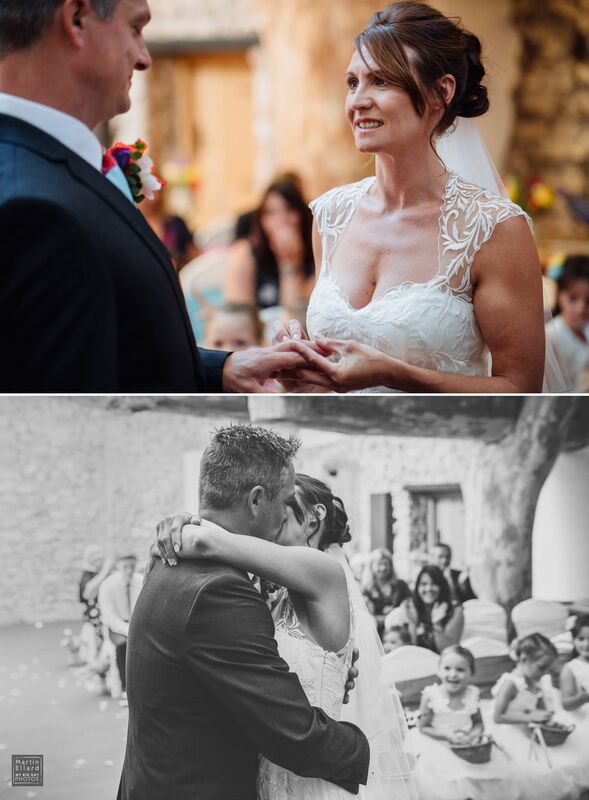 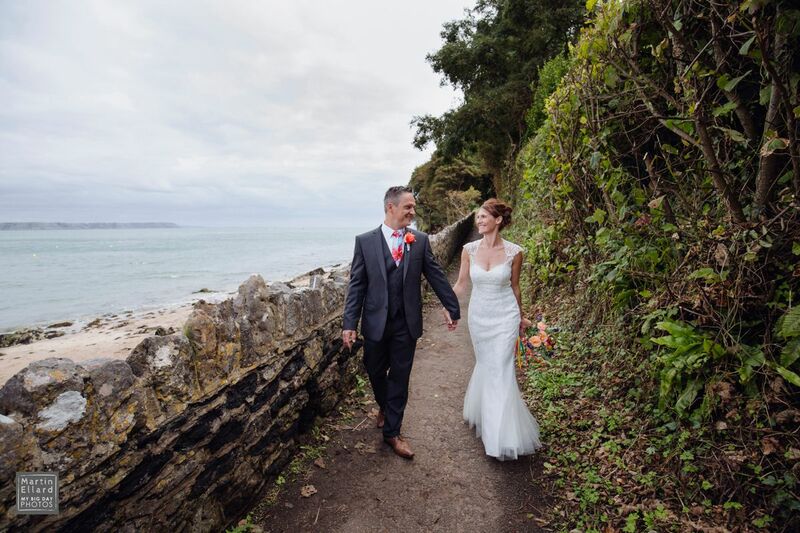 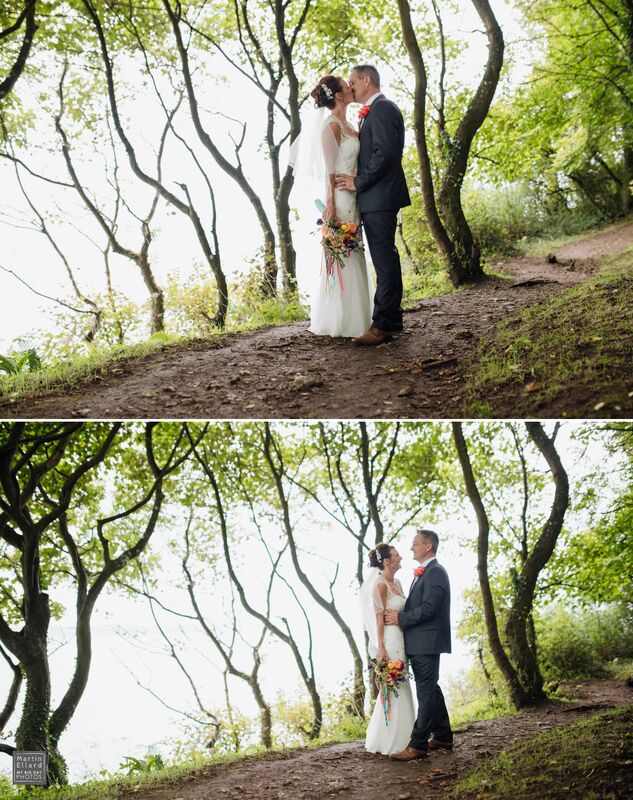 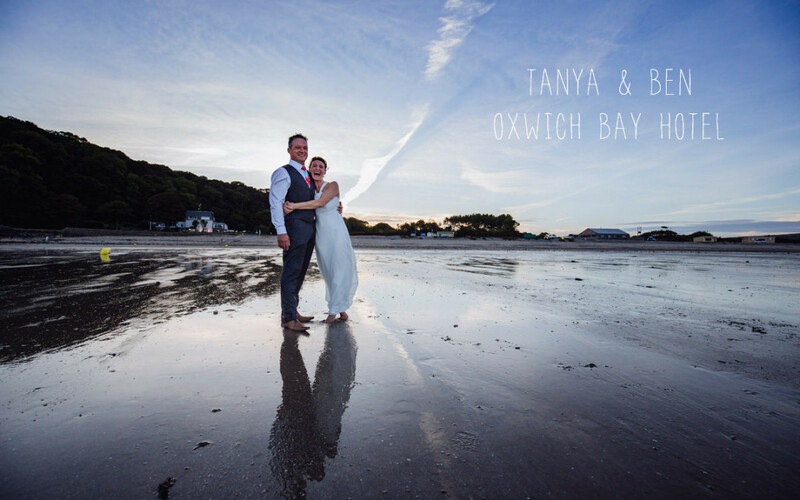 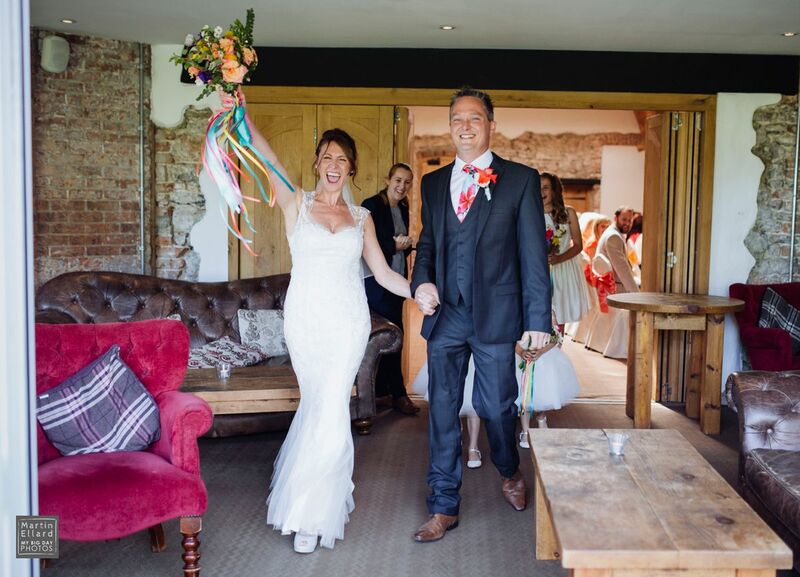 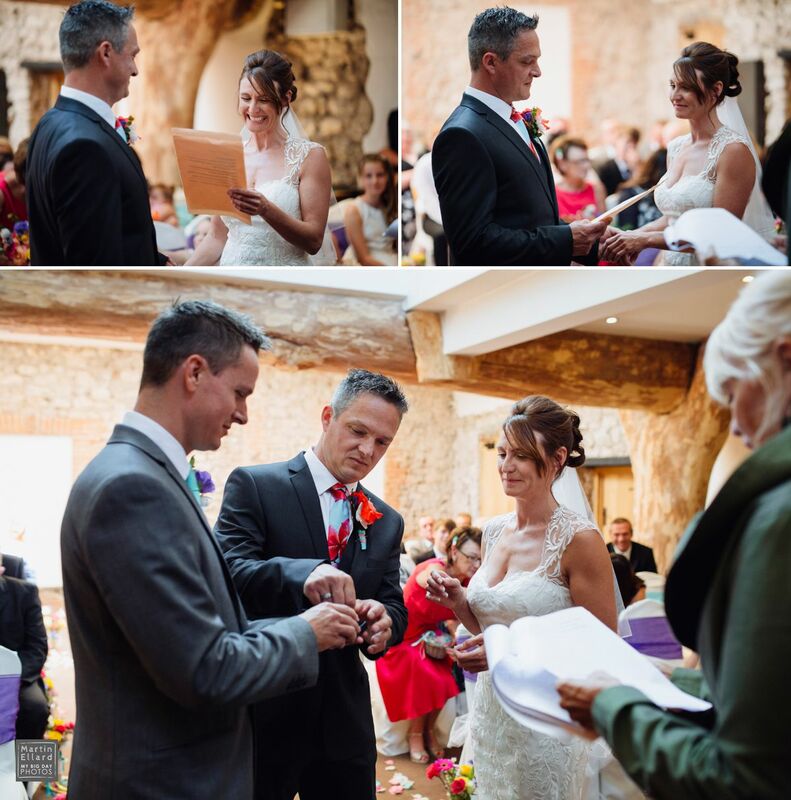 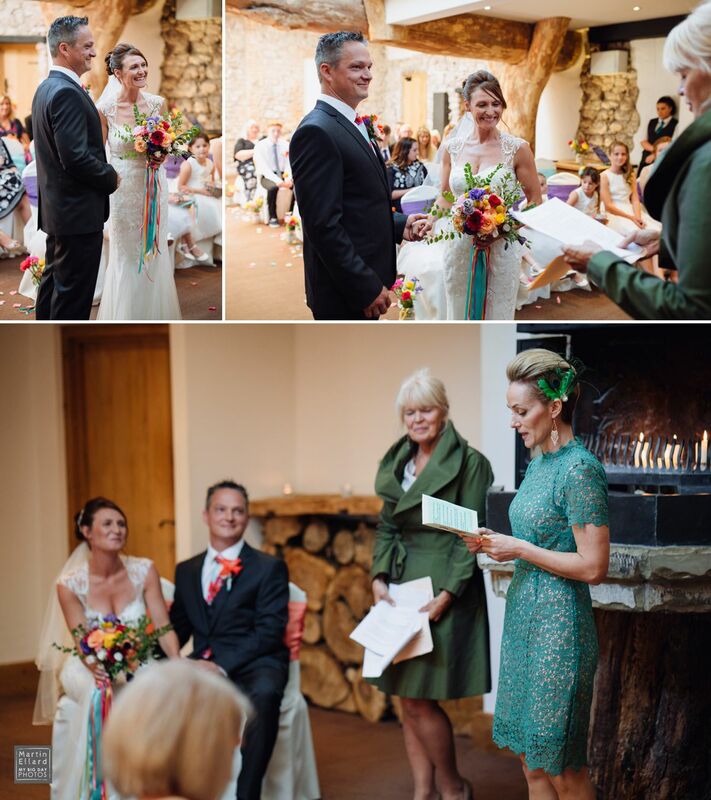 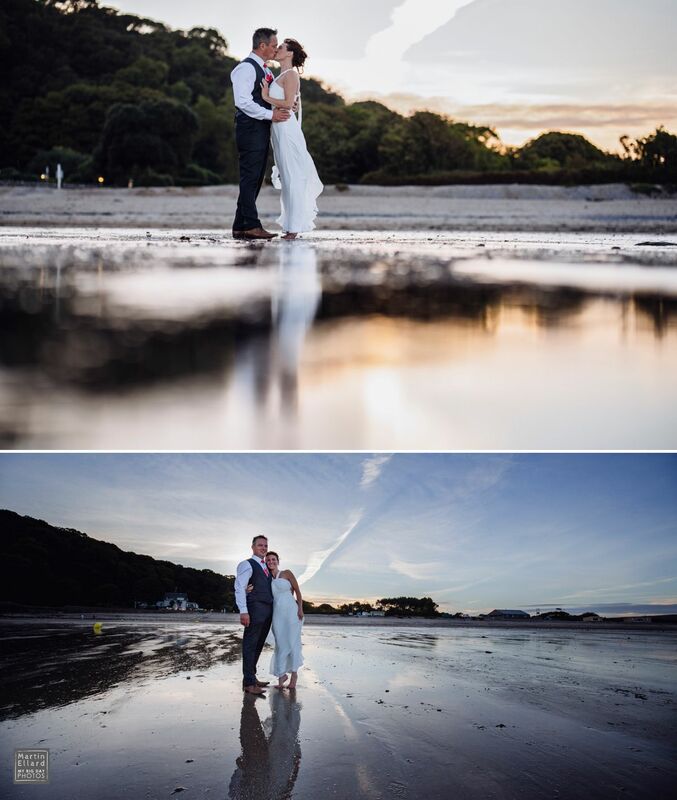 Tanya and Ben were married at The Oxwich Bay Hotel. 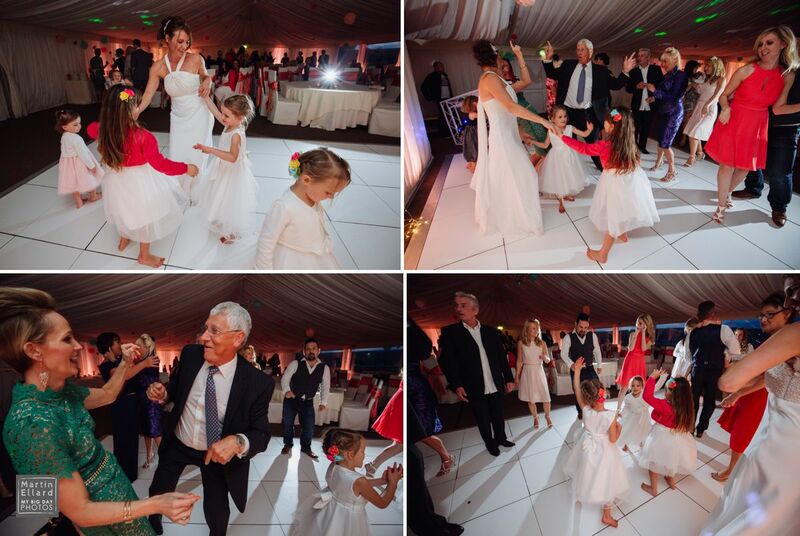 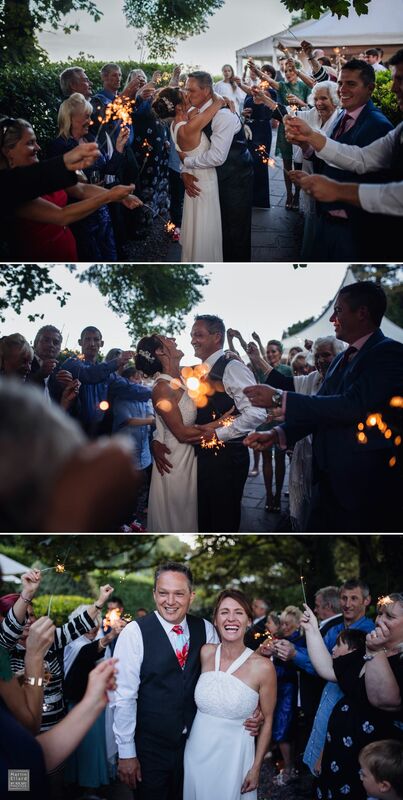 It was a small wedding and a shorter day than I am used to, but no less fun packed. 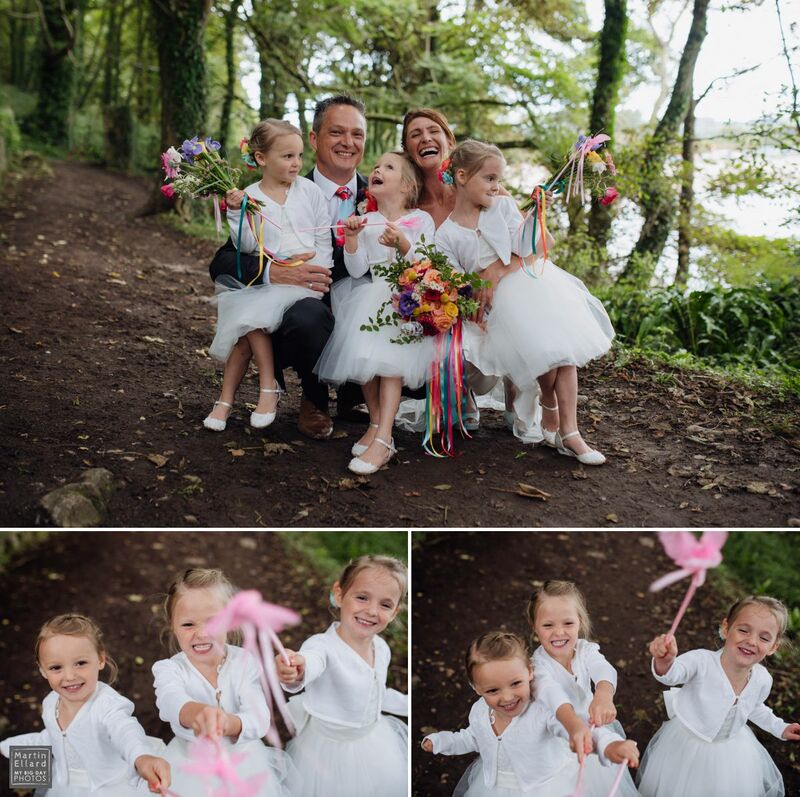 Tanya got ready with her daughters at the family home in Swansea. 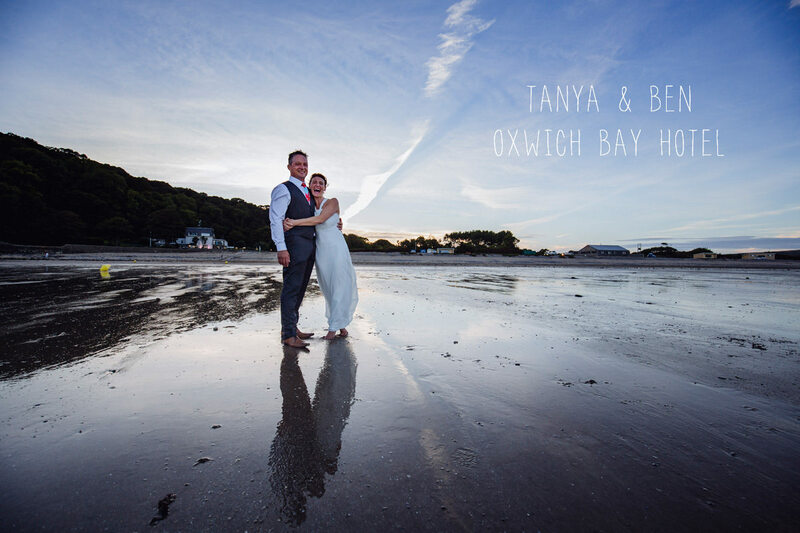 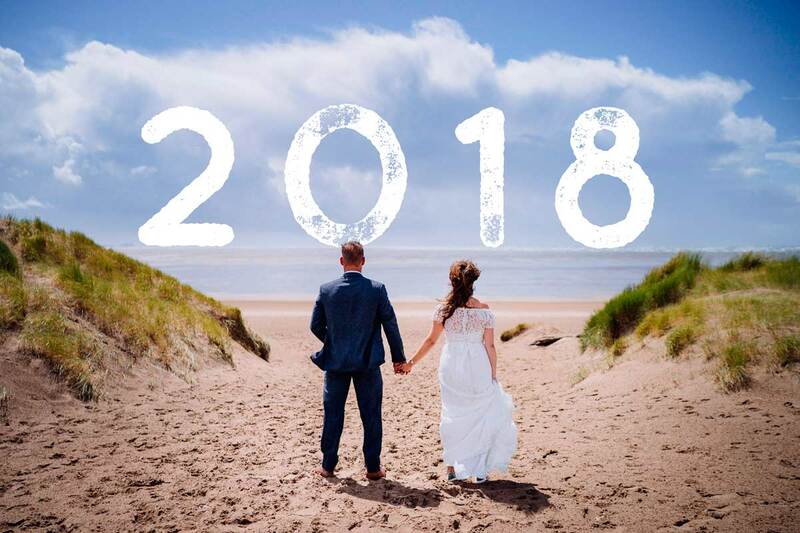 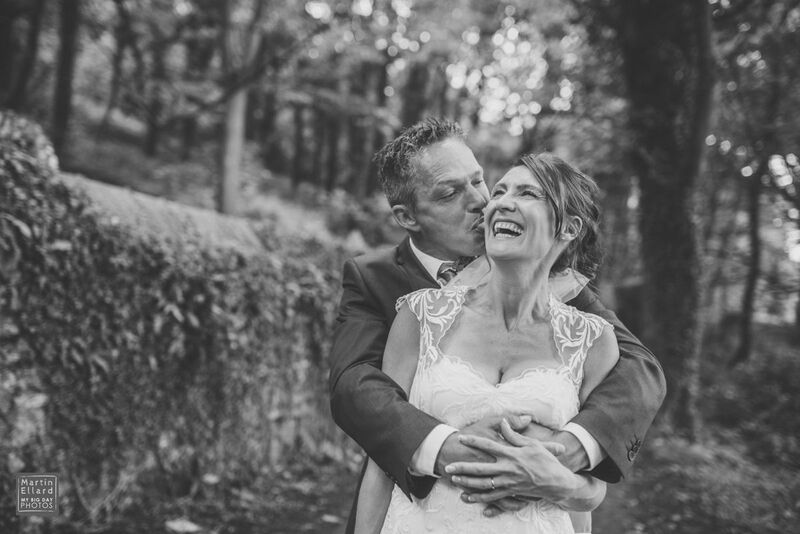 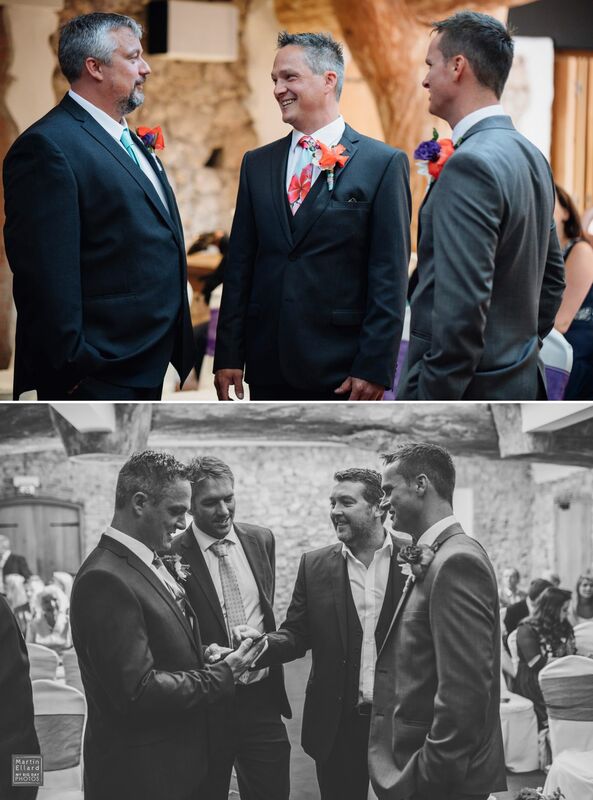 I met Ben at The Oxwich Bay Hotel ready for Tanya’s arrival, they were already technically married at this point and had called on a friend to give a blessing, it was a relaxed and heartfelt ceremony with both bride and groom reading vows to each other. 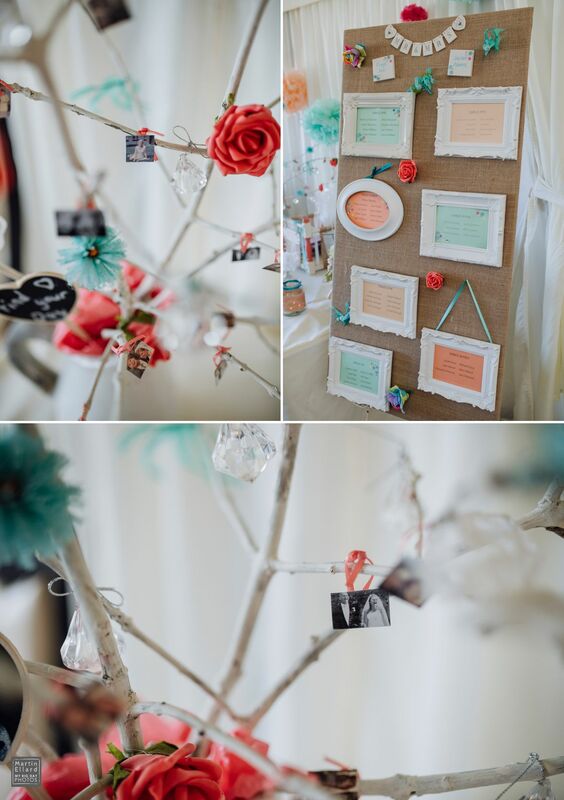 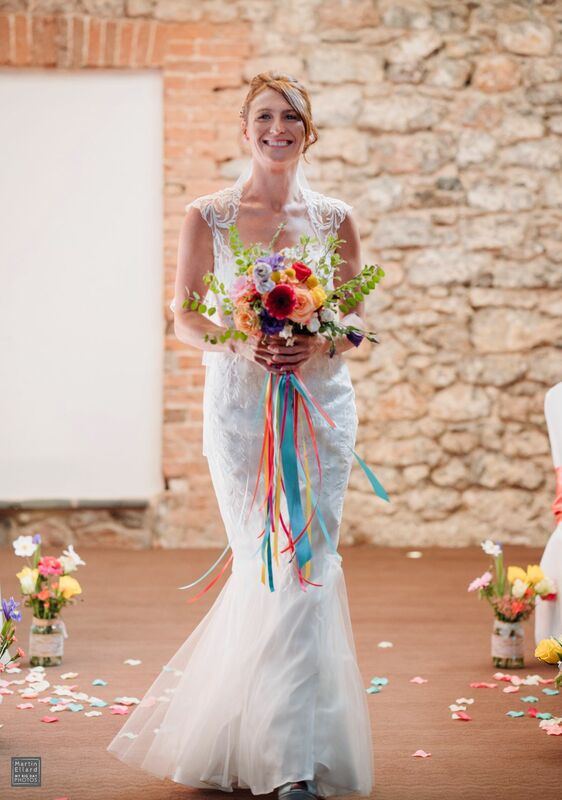 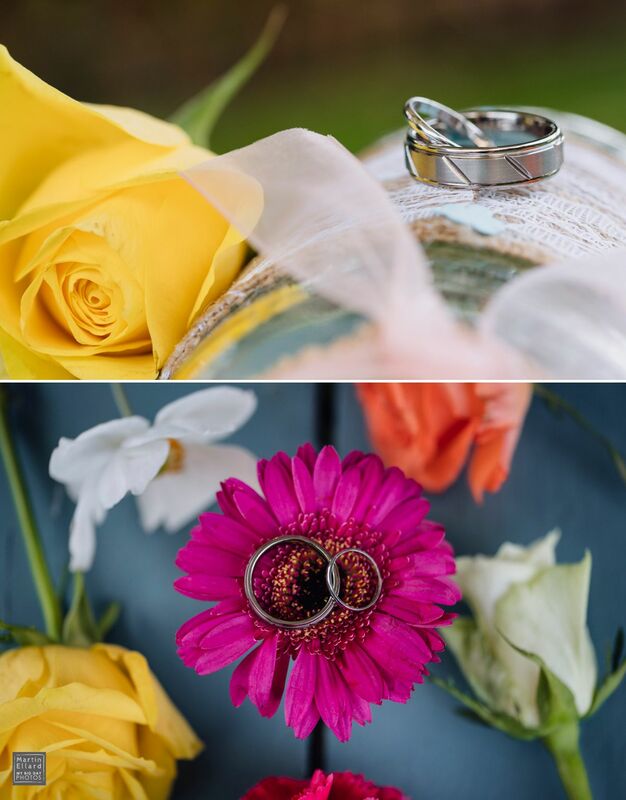 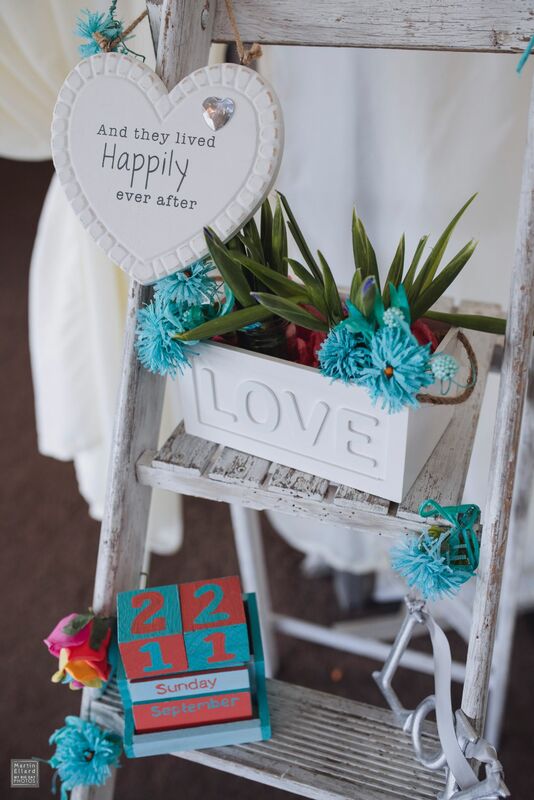 As you will see from the pictures below it was a brightly coloured day with a coral and teal colour scheme, with lots of other colours thrown in along the way. 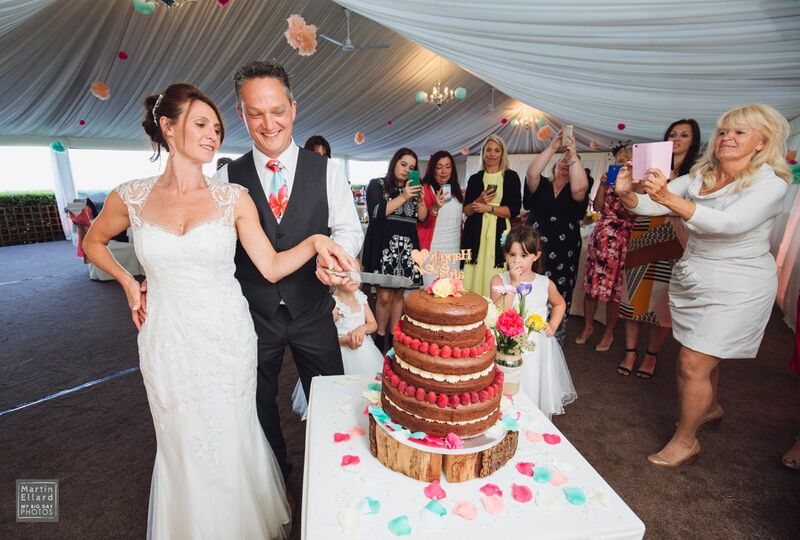 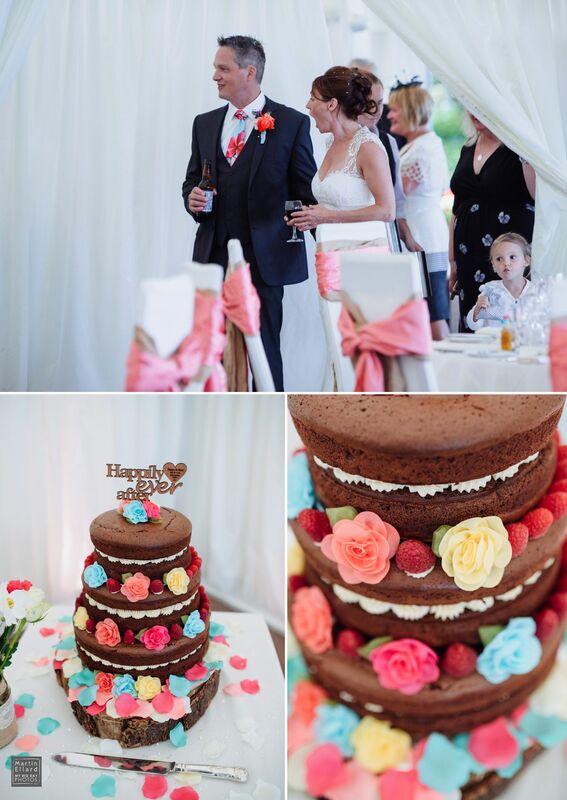 Friends had stepped up to help them organise and supply some of the essentials and I’m glad I caught Tanya’s expression when she saw the wedding cake for the first time, made by her very good friend Liz, who had created a colourful chocolate naked cake. 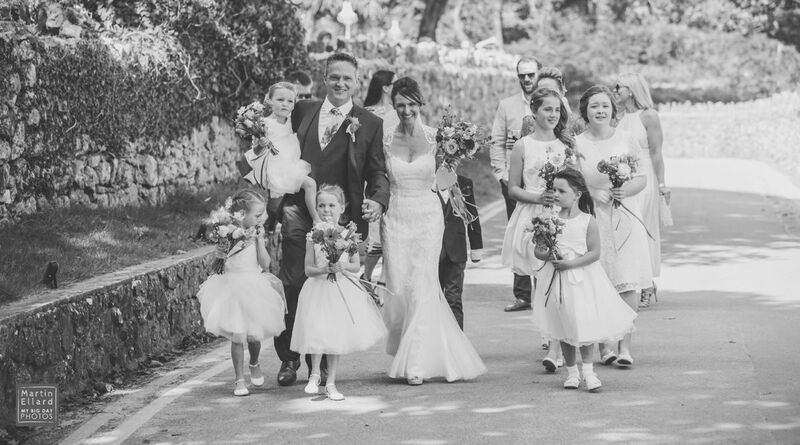 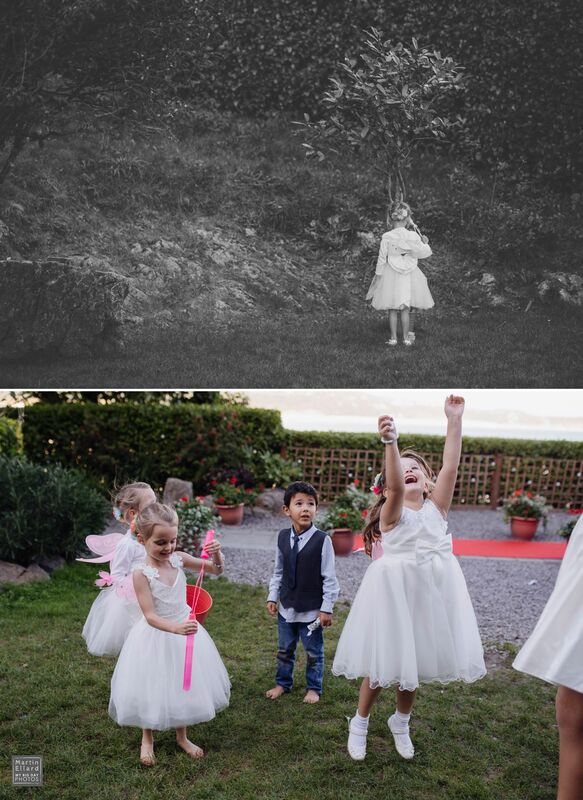 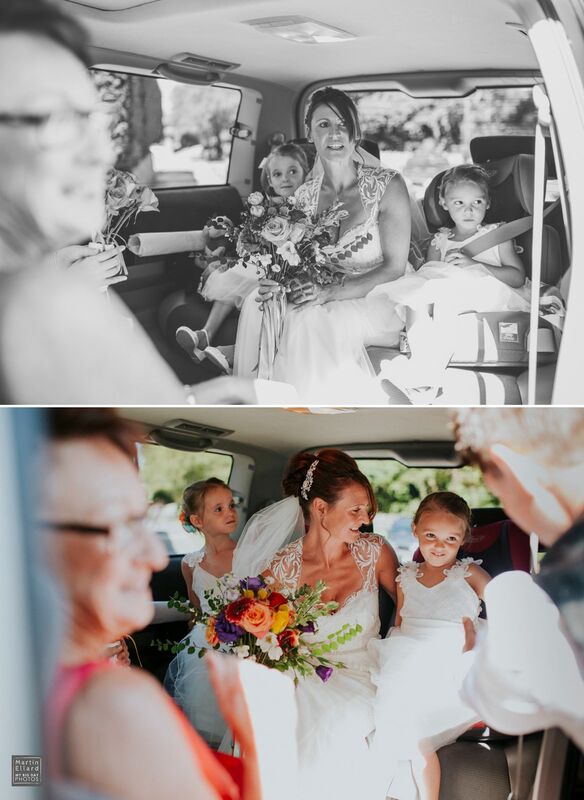 After the ceremony and formal group shots I took Tanya, Ben and their daughters up to the woods behind the marquee, it was a hot, sunny day and far too busy to go on to the beach yet. 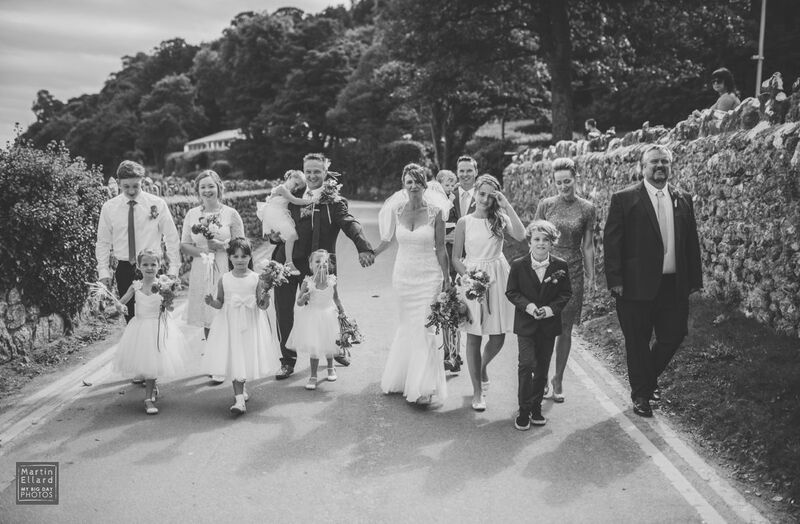 Ben’s best man then walked the girls back to the marquee, while mum and dad stayed with me for their photographs. 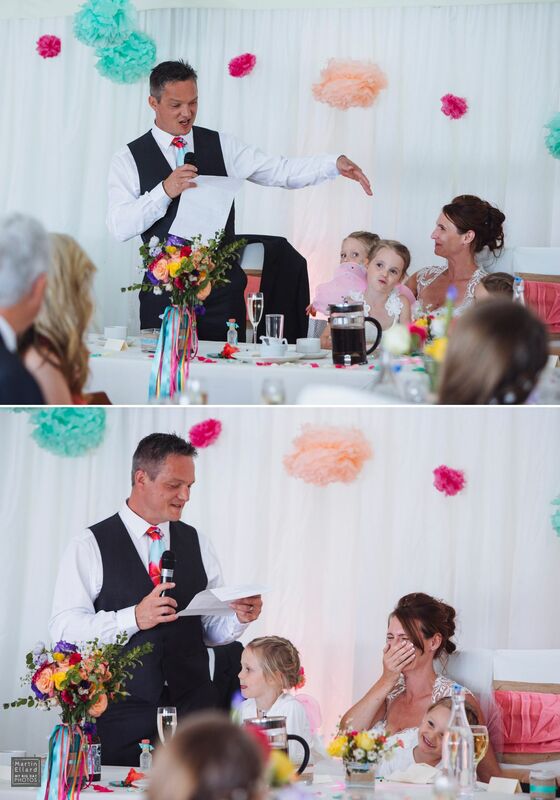 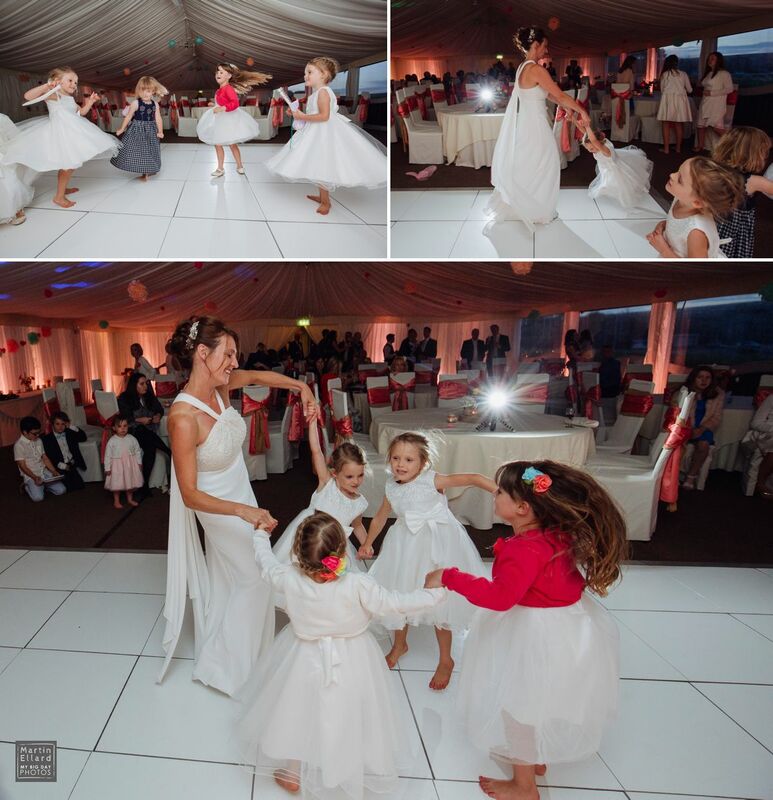 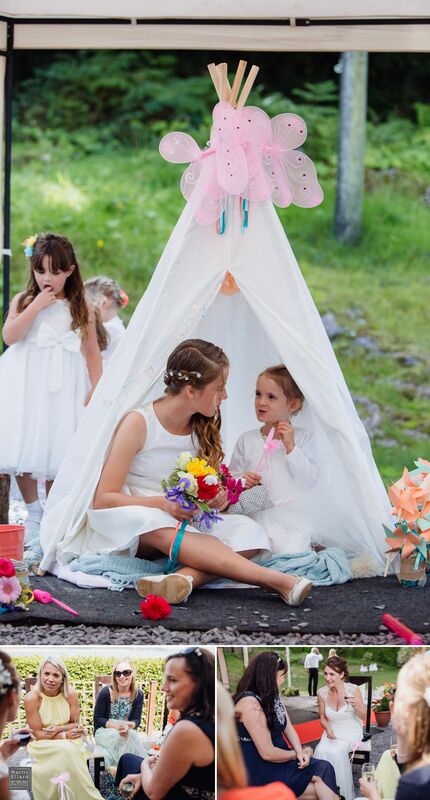 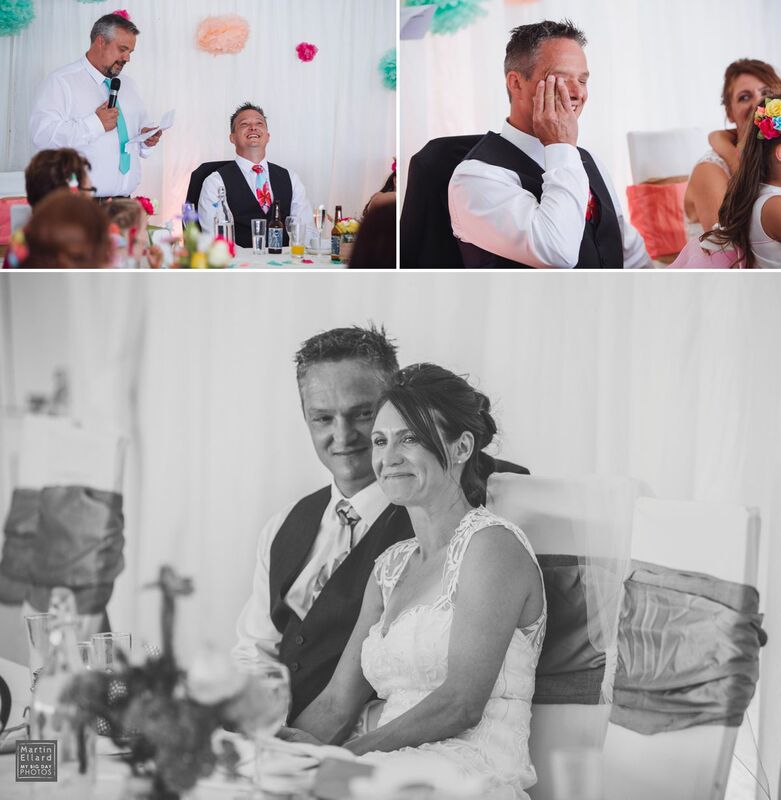 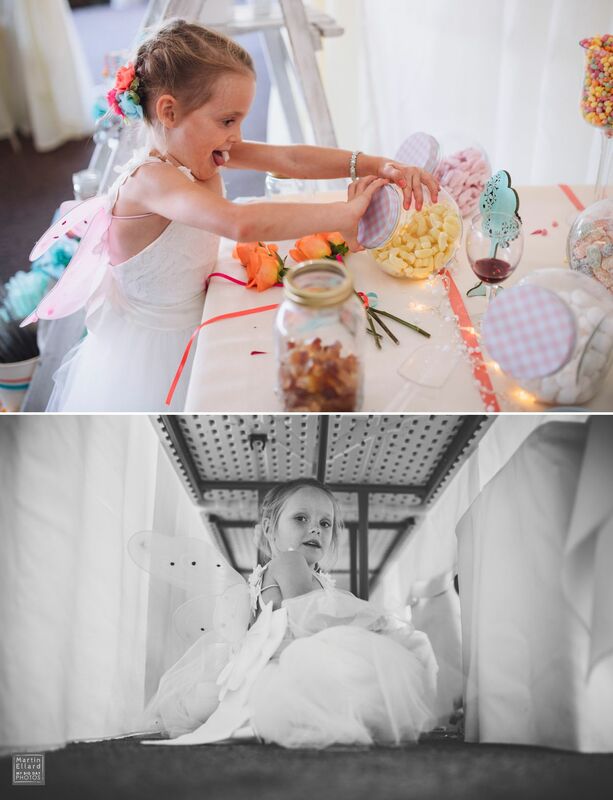 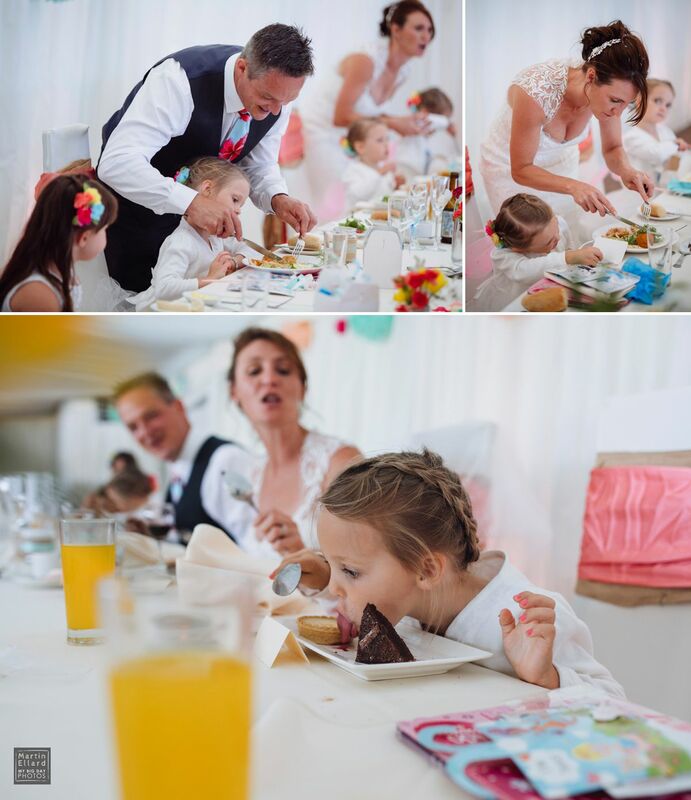 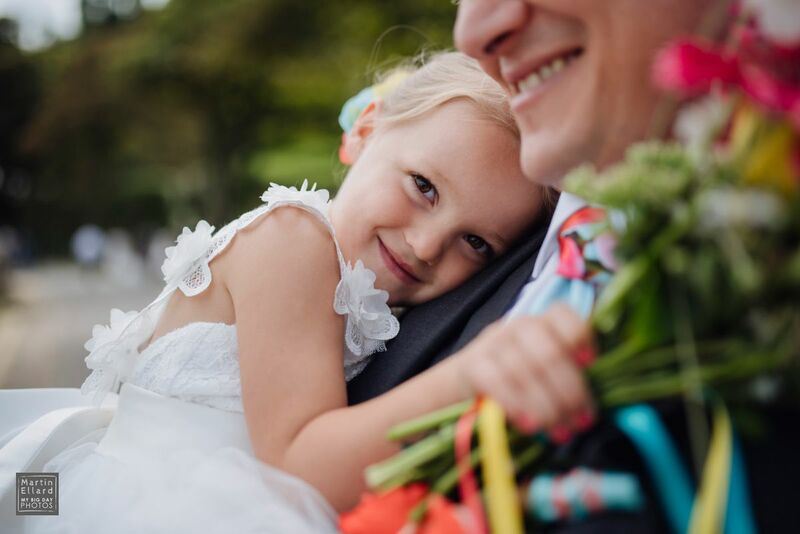 One of the sweetest things I photographed all day was the head table in the wedding marquee, Tanya and Ben had placed themselves surrounded by their daughters and the fourth flower girl and spent most of their time cutting up food and looking after the kids. 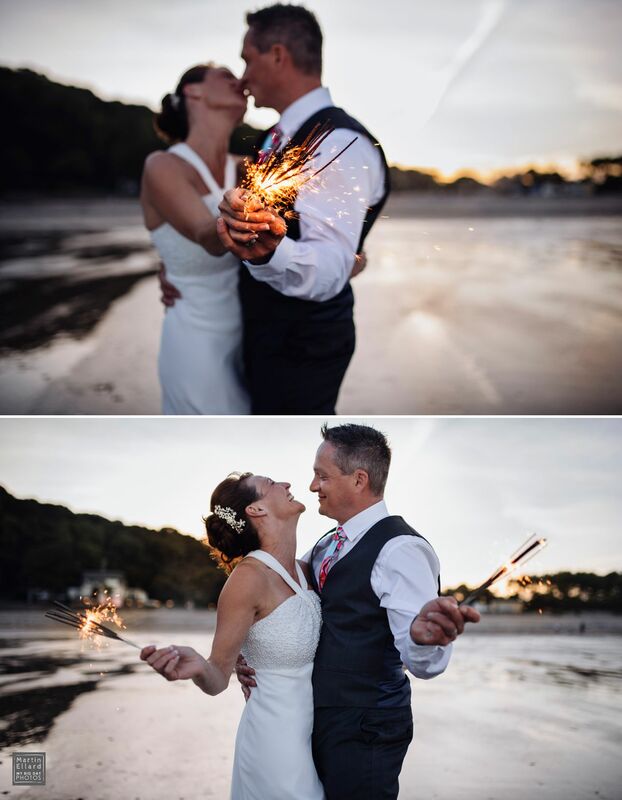 Tanya had bought two wedding dresses from Debenhams for her big day and after the speeches she disappeared to change into her ‘evening’ dress and I timed her arrival back with guests lighting sparklers followed by a walk down on to the beach as the sun went down.